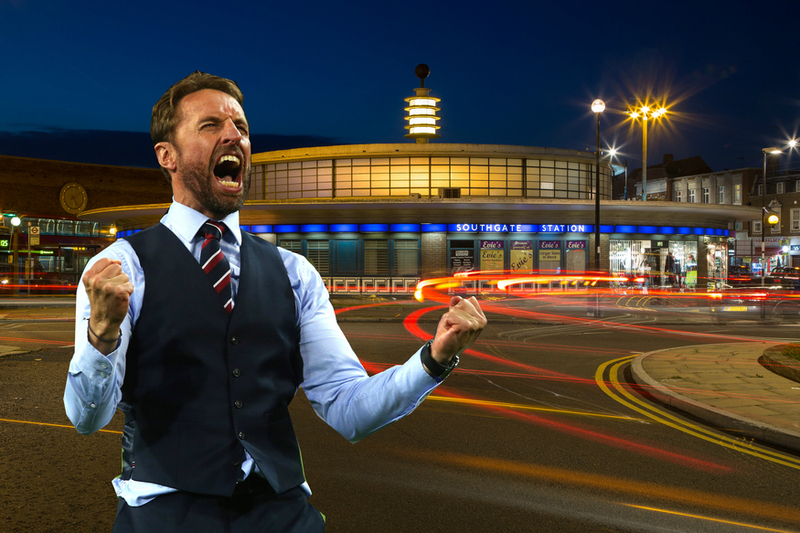 Will Noble Is It Time To Rename Southgate Station Gareth Southgate Station? As England progressed into the quarter finals of the World Cup last week, an oft-overlooked north London tube station was suddenly thrust into the limelight. A few days later, as England beat Sweden to make the semis, some rudimentary Photoshop skills in our Roundel Ramblings group, echoed the same sweet sentiment. Now that the waist-coated wonder could well oversee England's first World Cup final since 1966, we must consider the rebrand seriously. 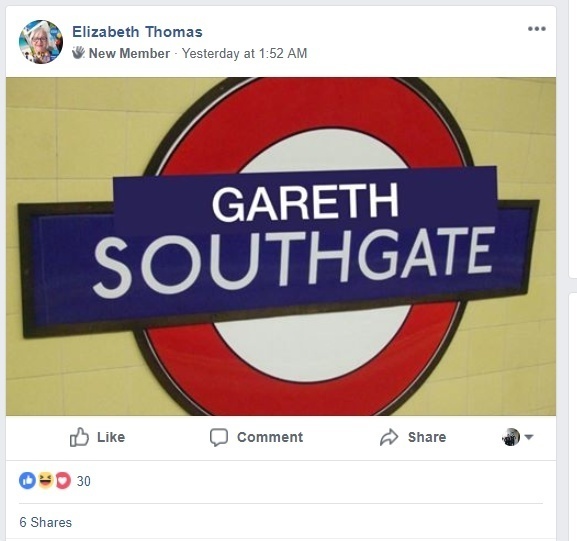 The station's called Southgate, Gareth Southgate's called Gareth Southgate... why wouldn't we wed the two in beautiful matrimony? What do you mean you're going to need more than that? Pfff OK then. Was Gareth Southgate born in Southgate? No. Has he ever BEEN to Southgate? Er dunno. But the national humiliation-turned-patron-saint WAS born in Watford, and he DID go to college in Croydon. And do you know what's equidistant between Watford and Croydon...? Well it's not QUITE Southgate — but Southgate is REASONABLY equidistant between the two places that helped mould the England manager we now all love to sing reworked Atomic Kitten songs about. And if we chuck in some kind of analogy about Southgate tube station once being under-appreciated and considered ugly, but now being thought of as one of the finest and sexiest tube stations on the map — then SURELY that's enough. No? 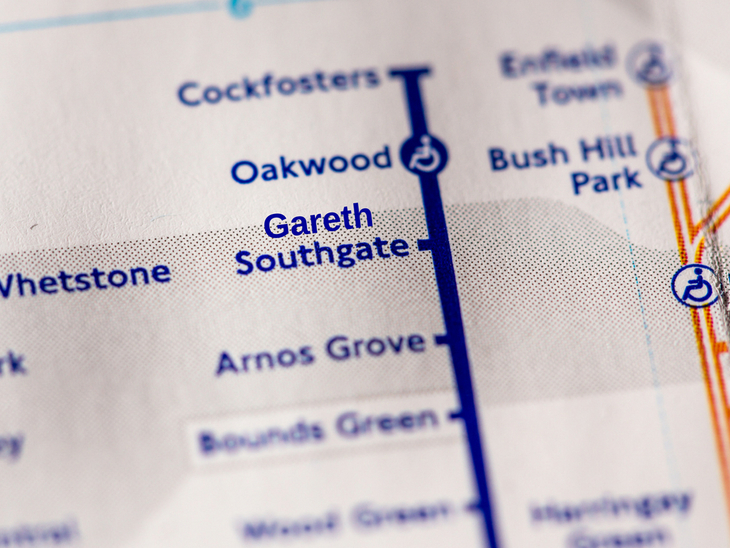 Well one of the original names for Southgate station was touted to be Chase Side — and Gareth Southgate manages a SIDE that's CHASING the World Cup. COINCIDENCE? !